BioWare is known for a lot of excellent role-playing games, with the Mass Effect trilogy being highly regarded for its characters, story and sci-fi setting. 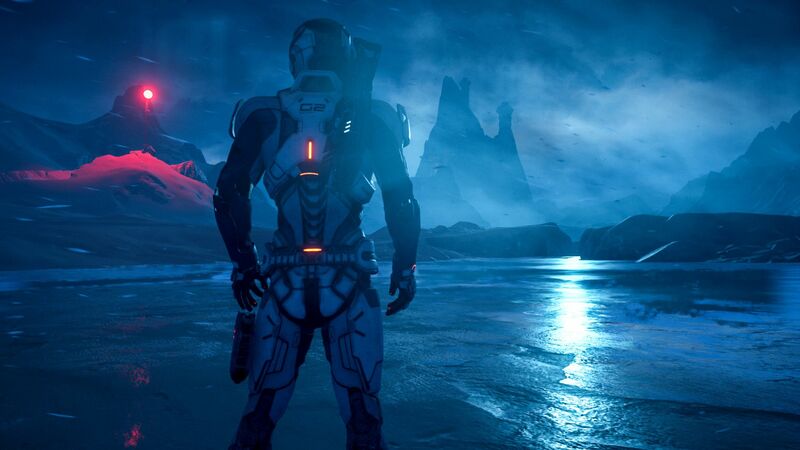 With Mass Effect Andromeda, BioWare tried to move the series forward with some additions to the formula while trying to retain what made the original trilogy so good. Sadly, a series of issues and design decisions prevent the game from reaching its full potential. With Commander Shepard having earned his or hers well deserved rest, it’s time for new heroes to step up to the plate. In Mass Effect Andromeda, players take on the role of either Scott or Sara Ryder, children of the famed Alec Ryder, one of the Pathfinders tasked to discover new habitable planets for humanity. Following the dramatic events happening on Habitat 7, one of the Ryder siblings will become the new Pathfinder, a role coming with some huge, huge responsibilities, as morale on the Nexus, the main hub of the Andromeda exploration, is at an all time low. During the search for new habitable planets, the Pathfinder and his companions will have to solve the mystery behind alien technology as well as deal with a mysterious race, the Kett, that’s anything but peaceful. Those who played the original Mass Effect trilogy will surely notice how the tone of Mass Effect Andromeda differs from the trilogy. Commander Shepard’s story was the story of a man who eventually saved the whole galaxy; Pathfinder Ryder’s story is an adventure filled with mystery as the player discovers the secrets of the Andromeda galaxy alongside the main character and his companions. On paper, this type of story could have worked quite well, but its development is somewhat lackluster due to the writing, which is somewhat worse than what we have come to expect of BioWare, and the antagonists, who are the typical bad alien race with little development and depth. Characters are also not all that compelling: outside Peebee and Liam, the other companions don’t have anything very interesting going on for them. Even the Ryder siblings suffer from this, mostly due to the changes made to the dialogue wheel, with choices dictating the mood of the conversation but leading to very small changes and consequences. Even flirting is not as good as it used to be in previous entries, as the option to express interest in a potential partner is available right from the beginning. Making matters worse is how the main quests don’t fully explain everything there is to know about the story, forcing players to read the Codex often and complete select subquests. It’s a shame that the narrative portion of Mass Effect Andromeda is weak, as the premise, while not overtly original, held quite a bit of potential. If BioWare somewhat missed the mark with the game’s story, they did a good job with the gameplay. 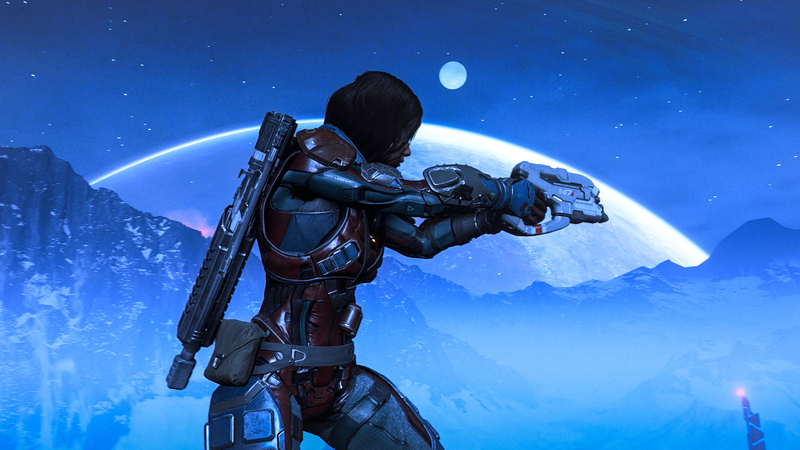 Both combat and exploration have been vastly improved since Mass Effect 3, and even the role-playing game mechanics have received a major overhaul which gives players more freedom, making it possible to invest skill points in the Combat, Bionics and Tech trees freely and create unique skills loadout combinations. The real-time combat system, featuring a cover system, also accommodates these changes by providing incredible versatility with new movement options granted by the jetpack that make everything feel smooth and incredibly fun. Exploration is also made quite interesting and fun by the new movement options offered by the game. While players can explore semi open-world areas on foot, it’s also possible to move around more quickly with the Nomad, a new vehicle which can also be customized and improved in several different ways. Sadly, the semi-open-world approach seems to hurt the experience a bit, especially if the player is fond of the smaller scale approach of the original trilogy, as exploring maps fully feels more like a chore most of the times due to how empty they can be. Still, there are some decent incentives to do so; those who love open-world games will surely appreciate Andromeda’s exploration mechanics, just don’t expect things to be on the level of the most celebrated recent open-world games. While planet exploration can still be appreciated despite its issues, the same definitely cannot be said about exploring the Andromeda galaxy, due to the horrible Galaxy Map system. Selecting planets and moving between them taken an excessive amount of time and feels incredibly clunky. Considering that players will only get some general information for planets that cannot be explored directly unless an anomaly is detected nearby, very few will be able to stomach checking all of them out. Sadly, the whole Menu system feels quite clunky, with the Journal being a big offender due to how it handles quest tracking. Those who can look past some of these issues, however, will find a game that can feel very rewarding thanks to a huge amount of content. 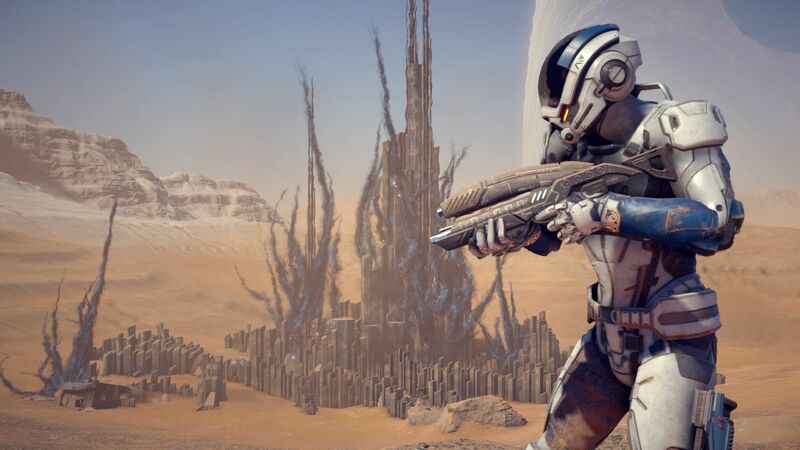 Alongside the main quest, players will also be able to spend time crafting weapons and armor pieces and take on a variety of sub-quests which will allow them to learn more about the Andromeda Initiative, characters, planets and much more. While not all sub-quests are on the same quality level, there are a few that are quite nice, with some Loyalty Missions being especially good. As if the huge amount of content featured the single player campaign wasn’t enough, Mass Effect Andromeda also comes with a very interesting multiplayer mode which takes advantage of the game’s excellent combat system to offer an experience that’s almost better than the single player campaign, as players won’t have to put up with some of the game’s worst issues. Microtransactions can put off some players, but the multiplayer mode is quite enjoyable even without spending any real money. All of the game’s issues, while impactful, aren’t as immersion-killer as the horrible animations. Most of the time, players will see characters react in such weird ways that all the tension and atmosphere of the moment gets taken away. With the story not being exactly brilliant, the animations do very little to make Ryder’s journey through Andromeda more enticing. Thankfully, the environments do look great, with BioWare taking full advantage of the Frostbite engine, so there’s still plenty of eye candy for those who love staring and taking screenshots at landscapes and vistas. The PC version of Mass Effect Andromeda is obviously the best looking of the three, and it can perform well on high-end machines. Having tested the game on a PC featuring a GTX 980 Ti GPU, 16 GB RAM, and i7 3770 CPU, I haven’t come across any huge performance issue at 1080p resolution, High/Ultra settings. A few bugs here and there can make the experience annoying, but there’s no doubt that they will be fixed in future updates. On paper, Mass Effect Andromeda had a lot of potential but the team failed to realize it in full. While combat is the best the series has had since its beginnings, story, characters, and exploration come with issues that can be hard to stomach. It’s not a bad game at all, but the bad writing, horrible animations, and several baffling design choices do leave something to be desired. PC version tested (review code provided by the publisher). You can buy the game for PC, PlayStation 4 or Xbox One via Amazon. Mass Effect Andromeda could have been one of the best RPGs ever, but sadly the game never realizes its full potential. While the gameplay experience and RPG mechanics are mostly well done, with the best combat system of the entire series, the predictable story, uninteresting characters, and generally mediocre writing make the Pathfinder's quest to find a new home for humanity not as memorable as it could have been.